CAPE CANAVERAL, Florida -- On Thursday, the U.S. Court of Federal Claims lifted the preliminary injunction on United Launch Alliance’s (ULA’s) purchase of the RD-180 engines from Russian suppliers RD AMROSS and NPO Energomash after the Court received letters submitted by the U.S. Departments of State, Treasury and Commerce which stated that NPO Energomash is not subject to any of the current sanctions and that ULA’s continued purchase of the RD-180 does not directly or indirectly contravene the Ukraine sanctions. “Sadly, SpaceX’s frivolous lawsuit caused unnecessary distraction of the executive and judicial branch and increased tensions with Russia during a sensitive national security crisis," ULA said in a statement. "SpaceX’s actions are self-serving, irresponsible and have threatened the U.S.’s involvement with the International Space Station and other companies and projects working with Russian State entities." 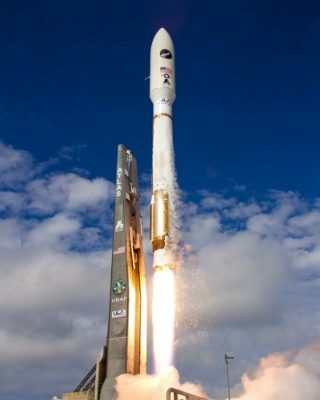 ULA is a joint venture of Boeing and Lockheed Martin that provides launch vehicles under an Evolved Expendable Launch Vehicle (EELV) contract with the U.S. Air Force. SpaceX has filed a lawsuit which challenges the EELV contract.